Real-time ECG display. LCD displays real-time ECG hook-up, eliminating the need for test jacks and repeat tests. Ease-of-use. 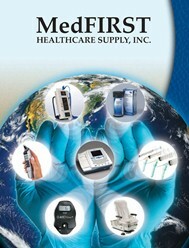 Easy-to-use 5-button keypad to enter patient and test parameters. Convenience. Multiple data transfer options (SD card or USB cable) allow you to quickly capture data and send the recorder out with a new patient. Speed. Fast data transfer to Burdick® Vision™ or Burdick Vision Premier software for quick turnaround. Versatility. Integrated pacemaker detection lets you use the recorder even on patients with pacemakers. 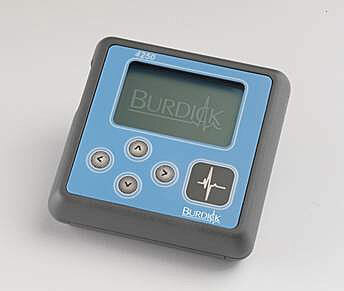 The Burdick 4250 Digital Holter Recorder works with the Burdick Vision and Vision Premier Holter systems, providing high-quality 5- or 7-lead, 3-channel Holter recordings with a signal preview screen. This device provides fast data transfer using an SD card or USB cable that frees the recorder for immediate assignment to the next patient. An easy-to-read integrated LCD display enables quick verification of ECG tracing. Visually confirm good ECG signals before sending the patient home. Reduce the number of retests and eliminate the need for test jacks. The smaller, lighter 4250 recorder will encourage patient compliance during the entire length of the test. Use the LCD display to preview ECG rhythm or to confirm test settings and patient information. Enter additional test parameters and patient demographics via the simple 5-button keypad. Integrated pacemaker detection enables use on virtually any patient. Half the size and weight of previous Holter recorders, the Burdick 4250 can be tucked into a pocket or hidden under clothing, providing a more comfortable monitoring solution.